NOTE: The purpose of this series is not to bash medicalized births. It is only to shed on light on the potential benefits of having an unmedicated birth. 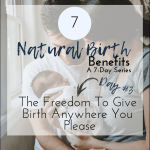 So far throughout this series, we’ve covered some amazing benefits of having a natural birth. 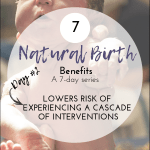 These benefits include: freedom of movement during labor, lowering the risk of experiencing the cascade of interventions, and having more birthplace options. Today we’ll be going over how having a natural birth can make for an easier and a faster labor. Cocktail hormones for a quicker and smoother birth? During an unmedicated labor, the body produces a special cocktail of hormones that facilitate the process of childbirth which can contribute to an easier and faster labor. Some of these major hormones include oxytocin, which is the hormone responsible for uterine contractions and the softening and thinning of the cervix, and endorphins, which are powerful hormones that are known as “nature’s narcotic”, due to their pain relieving properties. Oxytocin is also responsible for the release of the endorphins, as you progress through labor more oxytocin is produced and secreted throughout the body. As this is happening, your body also gradually produces and releases more endorphins to help you cope with the increasing intensity of labor naturally. Common labor interventions such as inductions and epidurals disturb this natural physiologic process and can cause you not only to experience unnaturally painful contractions, decreased mobility which has proven to contribute to longer labor labors, and increased risk for fetal distress, maternal exhaustion, and c-section. I believe that this is in fact God’s perfect design! The human body is so powerfully and beautifully complex that is able to go through all of these process to help itself and help you create, carry, and birth another human being. Going back to the basics of birth and learning natural ways of managing labor is key to having a faster and more pleasant childbirth experience. 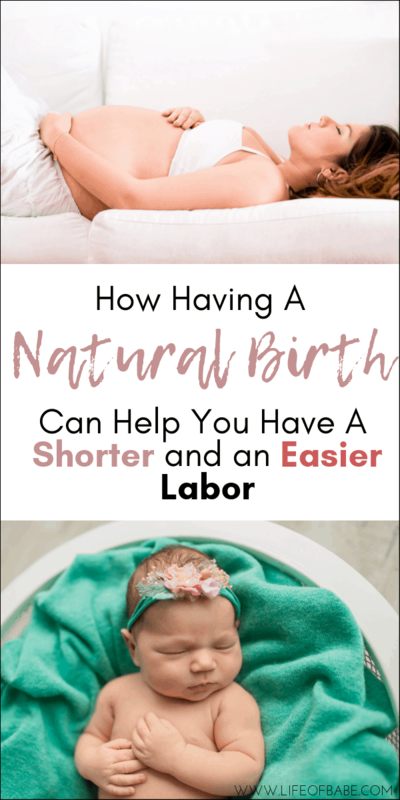 If the entire process of childbirth is left undisturbed, and you are: following your body’s signals (changing positions when needed), supported when we need it, and following these tips to help you manage labor naturally, chances are that you will have a an easier and faster labor. Want to become more confident in your decision to have a natural birth? I’m hosting a FREE giveaway! I created The M.O.M Natural Birth Prep to equip you with knowledge, practical tips, and motivation that will help empower you to have the natural birth of your dreams!